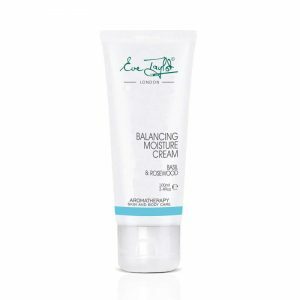 Description: Anti-inflammatory plant extracts of Borage Seed and Comfrey calm reactive skin while providing a protective barrier to help restore and strengthen skins barrier function. Skin type/condition: Hyper-sensitive, easily irritated, rosacea, eczema or psoriasis prone skin. Benefits: Powerful botanicals help repair skins with an impaired epidermal barrier. Anti-inflammatory plant oils reduce redness and skin irritation. Essential Oil free formulation creates the perfect moisturiser for even the most hyper-sensitive skins. Key ingredients: Borage Seed Oil rich Gamma Linoleic Acid (GLA) helps reduce redness and sensitivity in the skin. Comfrey imparts powerful anti-inflammatory and healing benefits to help smooth reactive skin. Dimethicone’s emollient properties help decrease itching on the skins surface. How to use: Apply using light fingertip pressure in upward strokes to face and neck. For maximum skin protection continue with sunscreen protection such as Solar Shield or C+Bright in daytime.